E-commerce business has become highly competitive, and it’s growing. Efficient fulfillment & distribution strategies has become a key successes factor for every E-commerce business. The challenges presented by the digital economy are unique and go beyond just warehouse distribution systems. There is not only seasonality of the products, but also wide variety of products, orders and customers. To meet these challenges advanced methods are important in your distribution strategies. Here are a few key distribution strategies methods which can help companies much higher efficiency. Storing all stock for one SKU at one place will mean that the picker will need to walk past all that stock to pick only one piece of that SKU. If there are 8 such SKU’s lined up, the picker has to walk 24 feet to cover all of them. If the front area was only 1.5 feet, he would walk only 12 feet. Multiply this with the number of times he makes this trip and you get the idea of all the extra walking he does. The idea here is to increase the SKU density per feet, so that the picker can pick as many items as possible. In fact items that move very slow should not be in the pickup area. They key challenge here is to keep the pickup area stocked with right SKU, and to the right level with minimal frontage at all times. Various tactics ranging from Visual Replenishment, to more complex Demand based replenishment using a warehouse management system can be used. A right pick strategy can make all the difference to the speed of fulfilment and capital investment of the warehouse. Manual picking carts are appropriate for a small size business. A larger business with many SKUs, and high order run rate needs some level of mechanical solution. For a business with smaller items or with large number of SKUs and high order volume, the manual cart may still be the best pick up strategy. They require very low maintenance when compared with other options. They can be scaled up quickly during high growth, and can be simply kept aside during times of low order volume. Carts are available in various shapes and sizes, and it is wise to experiment with a few different ones. Individual order: Picker goes around the warehouse picking individual SKUs for one single order. This method is slow, but in absence of a warehouse management system, most accurate. For smaller business this may be a very practical solution. For larger businesses it is definitely the slowest and very inefficient. Batch order picking: In this method multiple orders are grouped for pickers to pick items from multiple SKUs. These items are then sorted to make individual orders. This method works when there are fast moving SKU’s that form part of large number of orders. It reduces the walk time and number of trip for the picker. Cluster Picking: In this method, several orders are picked simultaneously. Picker picks items for each of these several orders and puts them in separate containers. 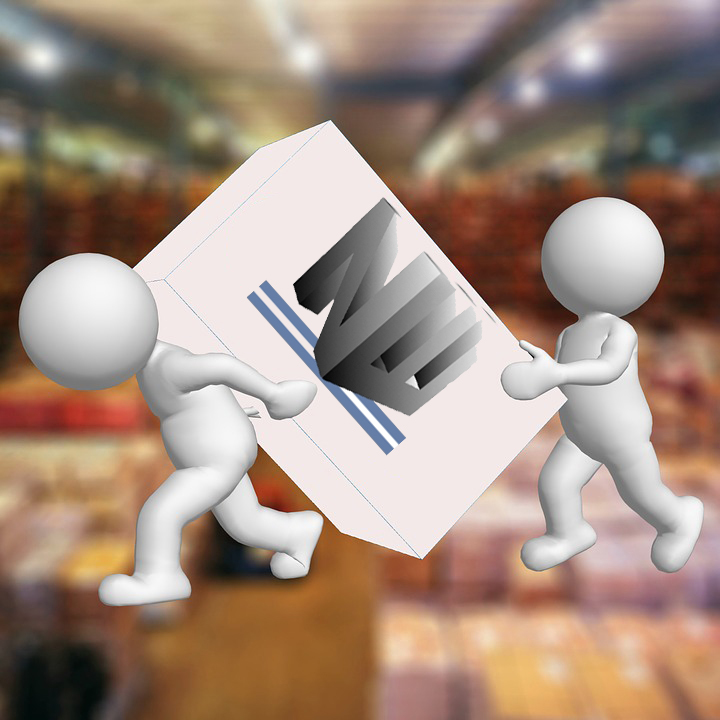 This method works best with a warehouse management system. Pick and Pass: In this method, one picker is restricted to one zone. After the items from that zone are picked, the container for the order is passed on to the picker. After passing through all the zones the cart comes to final order packing, ready to be shipped. If Multiple orders are clubbed, those many orders are ready after each complete pass of cart across all the zones. These are some of the most common and quickly implementable solutions to achieve better efficiency. However these are by no means the only ones. Organizations should experiment where possible, between different options to find the most efficient methods and options for them. Organizations should also continue to evaluate their chosen methods on regular basis. New tools and techniques come up regularly which can help organization in improving their distribution strategies.